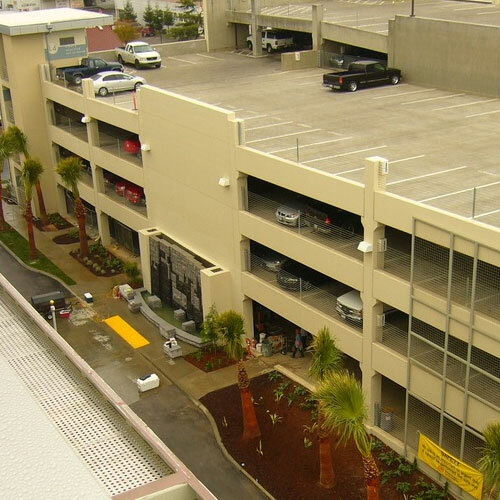 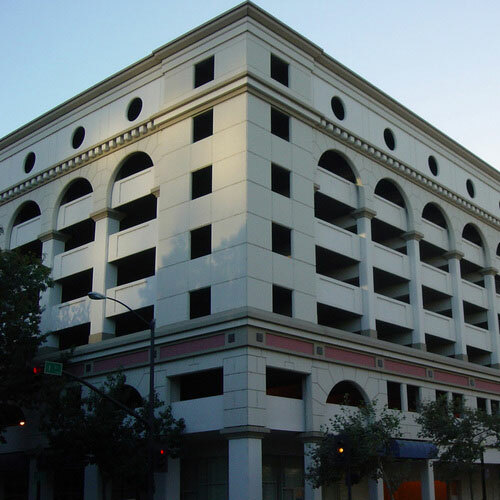 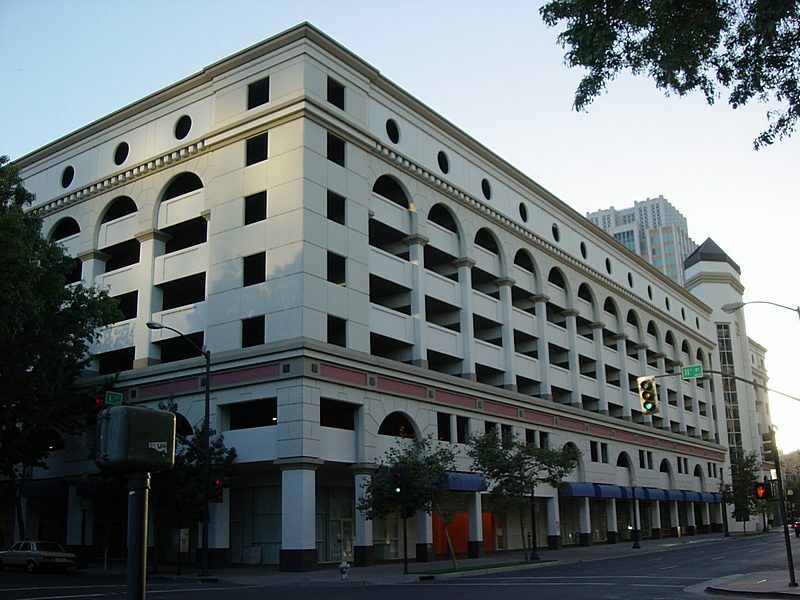 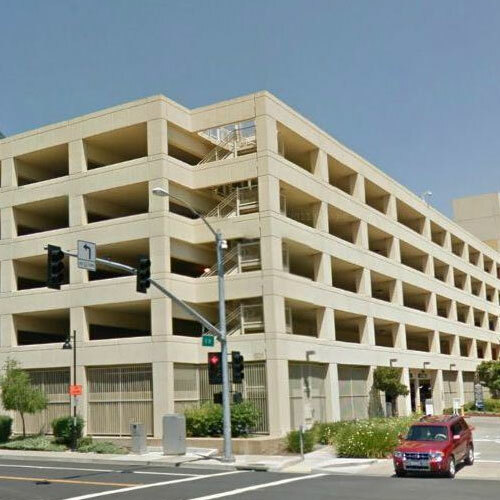 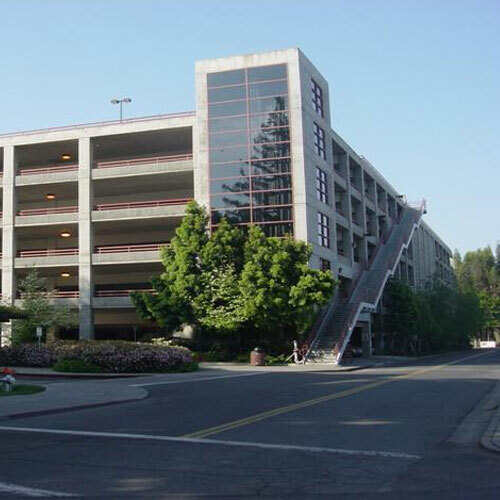 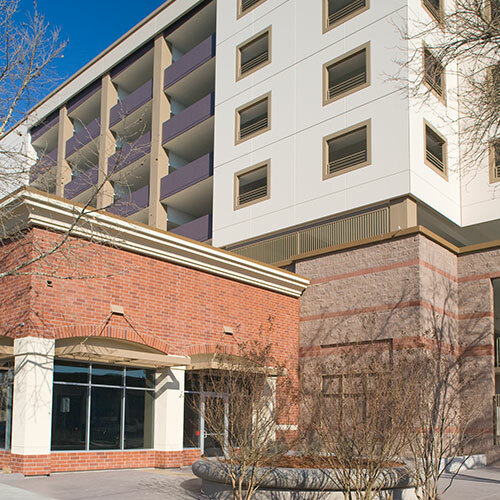 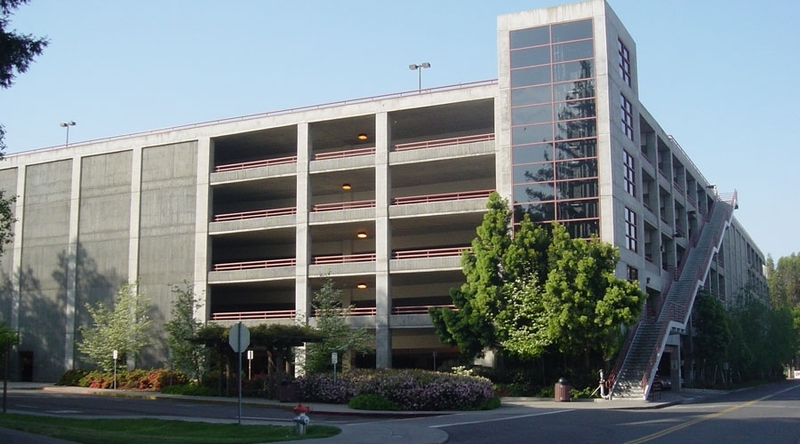 California State University, Sacramento is primarily a commuter school so vertical parking structures met demand by going vertical, freeing surface lots for academic buildings. 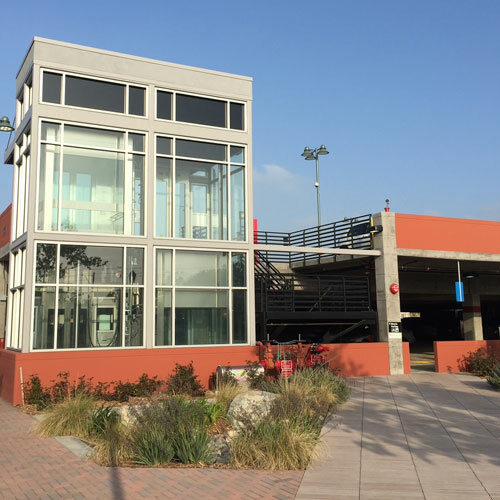 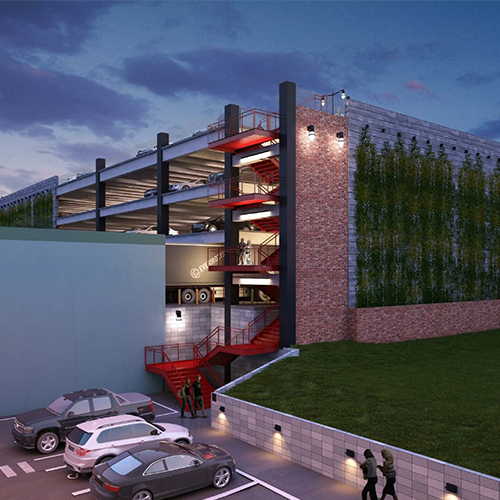 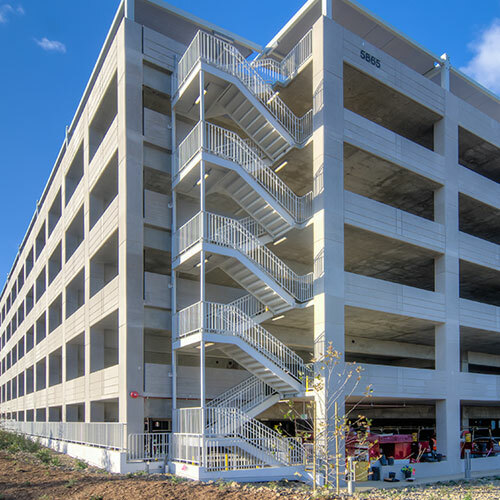 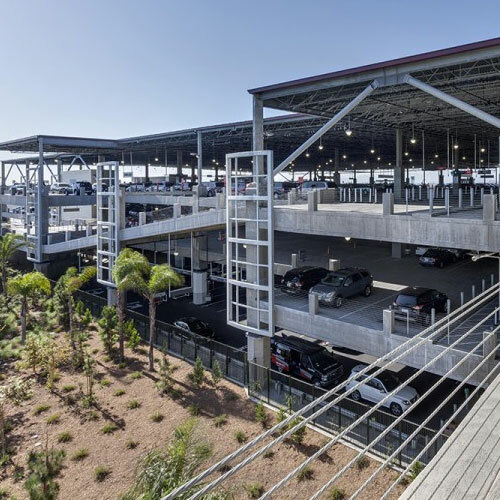 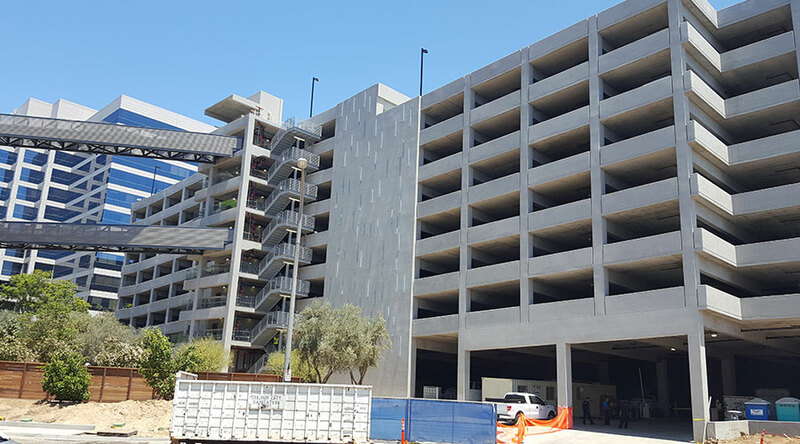 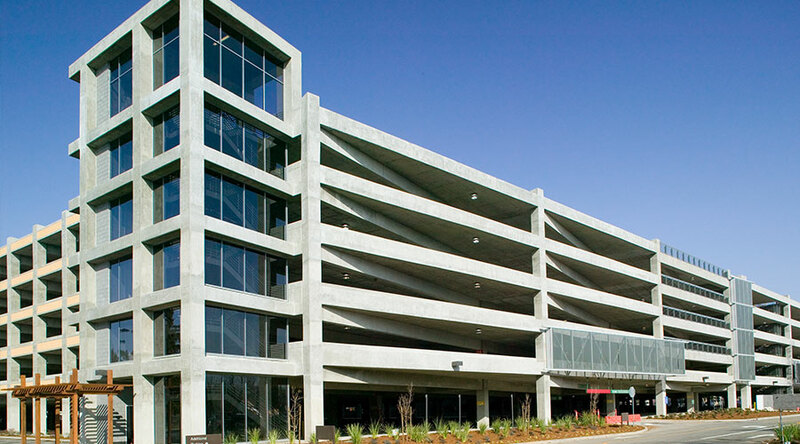 Parking Structure II is a 300,335-SF structure with 1,001 stalls. 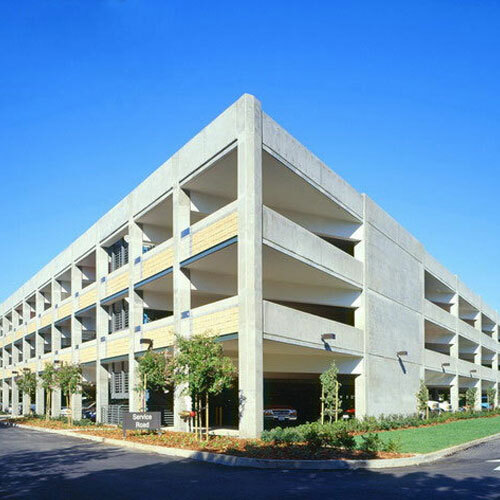 This four-level structure has a post-tension concrete floor system supported by cast-in-place concrete columns. 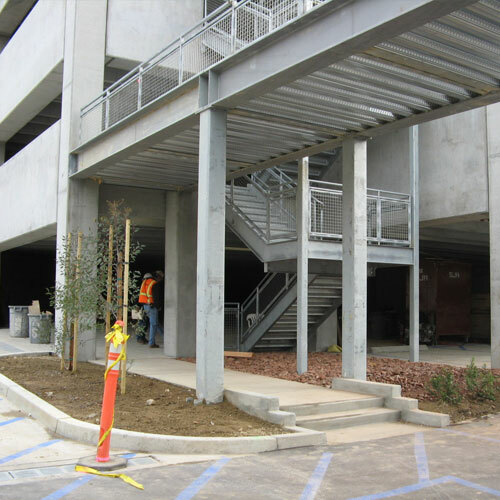 The seismic force-resisting system consists of 20” thick concrete shear walls. 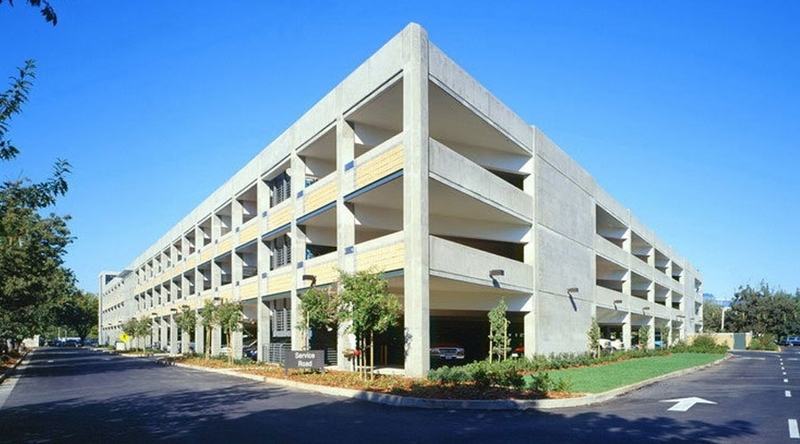 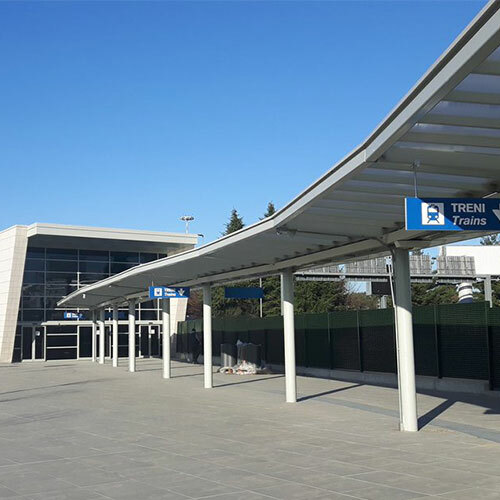 High-performance earthquake engineering techniques were used to optimize the performance-based design of the structure and foundation system, resulting in a savings of nearly 2000 cubic yards of concrete and $750,000 in construction costs.